Pet bird breeding is a demanding but highly rewarding activity. Some people do it as a personal hobby whereas others do it for profit. Whatever your reason, at a minimum you’ll need a pair of healthy, mature birds plus the correct equipment and bird breeding supplies. This one’s a no-brainer, you obviously need a pair of male and female birds that are the same species. However, most bird species will mate for life and so you need to ensure that the pair gets on well before you try to begin breeding. Also, some species are easier to look after than others and you’ll also need to check the health of your birds. 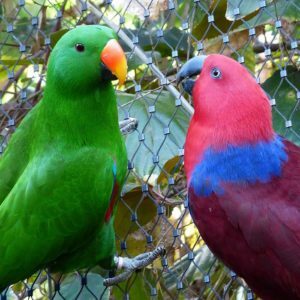 Gender of the bird – a rookie mistake is incorrectly sexing your bird. Easy in some species but much harder to determine in others. You can even do it genetically (with kits such as this one kit or pack of 5). Sexual maturity and fertility – each species will mature at different ages. Find out when your bird reaches sexual maturity before you start breeding. Strong and disease free – avian disease screening is possible at most vets and is necessary to prevent diseases from spreading to the offspring of birds. See this resource from the AAV for a list of tests you can perform. A bird breeding cage is what you get when you place 2 normal sized cages next to one another. Because of this, bird breeding cages sometimes get called a double bird cage or divided bird cage. However, in between the two cages is a mid-section that is removable. This is so you can separate the males and females from one another when needed during the breeding cycle. Each half of the cage will have its own water, feeder, perch and everything else that is normally included in a cage. The cage listed above is an example of a smaller sized bird breeding cage that is aimed at finches and parakeets. The above cage is aimed at larger sized birds such as macaws and African Greys. A breeding box is where your bird will be encouraged to lay its eggs. These boxes like the ones listed below are attached to the side of the bird breeding cage. Most bird cages will come with their own breeding box door upon which you can attach your breeding box to and some even come with a window so you can peek inside and see what’s going on. Once a fertilized egg is laid, it can either be raised by the mother bird itself or placed in an incubator and hatched. 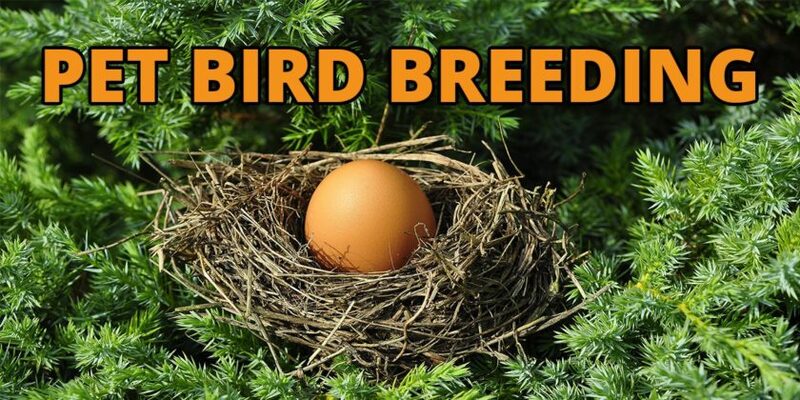 Whether this should be done depends upon the species of bird and whether or not you or not you want the mother bird to be involved in raising the chicks post hatching. Incubators are needed if anything happens to the parents of the birds. This incubator from Brinsea is ideal for providing everything you need to raise several fertilized eggs at once. After incubation, the egg will have hatched and the bird can now be transferred to a brooder (if the parent is unable to help the chick). A brooder provides heat and humidity for newly born chicks whilst they are in this fragile period of time. Brooders are also useful if the pet bird is sick or injured. The brooder listed above is aimed at people raising chicks and ducklings by providing a constant flow of heat. The heat panel height can be adjusted so it works with different species of bird. On the other hand, this brooder shown above from Brinsea allows you to monitor and control the temperature, humidity and air flow/filtration (which helps stop airborne diseases). Perfect for newly hatched exotic birds. 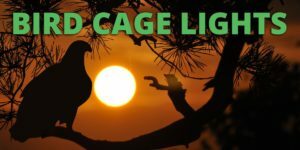 Once past the brooding stage, you can then think about getting a bird cage heater as detailed in our guide here. Constant warmth is needed for a properly fertilized egg to develop. When using an incubator or brooder, you’ll want to keep this warmth at a steady temperature and the best way to monitor this is via a digital thermostat like this one pictured above. This also tracks the humidity levels using the built-in hygrometer because you don’t want the heater making the air too dry. Monitoring the weight of a newly born bird allows you to have a good idea of how fast it is growing. The problem is that it’s quite hard to get your birds to sit still on normal scales. Luckily, specially made avian scales exist (such as the one listed above) that come with a perch pre-installed into them – which makes your job much easier. Brooders and incubators can provide the initial heat required during early development. But later on, a bird kept in captivity will need full spectrum lighting to maintain it’s health. You can read our guide to this here. You can get specialized bird feed mixes such as the one listed above that are aimed at birds which are breeding baby chicks and so need extra energy. Whereas the bird food listed above is aimed at newly born baby chicks and not the parents of those chicks. Additionally, cuttlebone is usually provided to breeding birds because it is a good source of calcium that is required in the development of eggs. For information on bird vitamins and supplements, check out our guide here. All new pet birds that have been born should also eventually have a leg band applied to them. You can read our full guide to bird banding here. Don’t forget to check the legalities of your state as to whether or you’re allowed to breed your species of bird. Also, check your landlord contract or home owner’s association rules if applicable.